Yang Xiao is Assistant Professor of Philosophy at Kenyon College. He received his Ph.D. from The New School for Social Research in 1999, and was a Postdoctoral Fellow at UC Berkeley (1999-2000) and Harvard University (2002-2003). Before coming to Kenyon in 2003, he taught in the philosophy department at Middlebury College for two years (2000-2002). 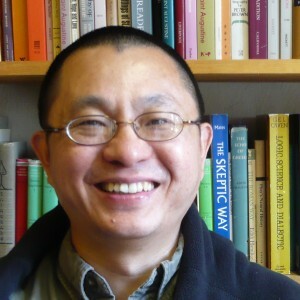 In addition to giving papers at many annual meetings of the American Philosophical Association (APA), Prof. Xiao has been an invited speaker at universities such as Stanford (1998), U Mass at Amherst (1999), New School for Social Research (1999 and 2000), Wesleyan (2000), University of St. Andrews (2002), Oxford (2002), Harvard (2003), McMaster (2004) and University of British Columbia (2004). Prof. Xiao’s research interests include ethics and moral psychology, Chinese philosophy, and philosophy of language. His publications include “Trying to Do Justice to the Concept of Justice in Confucian Ethics” (Journal of Chinese Philosophy) and “Modernity as Differentiation: Liang Qichao’s Social and Political Philosophy” (Blackwell Guide to Contemporary Chinese Philosophy). His book reviews have appeared in The Philosophical Quarterly, Notre Dame Philosophical Reviews and Journal of the American Academy of Religion. In 2004, he co-edited a special issue on Chinese political philosophy with Nick Bunnin of Oxford University for the journal Contemporary Chinese Thought. In 2005, he guest-edited a special issue on moral psychology in early Chinese philosophy for the journal Dao: A Journal of Comparative Philosophy. He has been the Book Review Editor of Dao since June 2005. The courses Prof. Xiao has been teaching at Kenyon College are the following: Introduction to Philosophy, Introduction to Ethics, Practical Issues in Ethics, Chinese Philosophy, Philosophy of Language, Contemporary Ethical Theory and Moral Psychology. Prof. Xiao was born in Southern China. He received his B.A. in theoretical physics from Wuhan University and his M.A. in philosophy of language from the Graduate School of the Chinese Academy of Social Sciences (CASS). From 1987 to 1993, he was a junior research fellow in the Institute of Philosophy at CASS. In 1989, he was a visiting student at Wolfson College at Oxford University, where he studied with Sir Peter Strawson. In the late 1990s, he studied with Prof. Bernard Williams at UC Berkeley. Prof. Yang Xiao can be reached by email at xiaoy@kenyon.edu. He now lives with his wife Anna Xiao Dong Sun at Kenyon, who is a socioloigist and published writer. Note to publishers who wish to have their scholarly books on comparative philosophy reviewed by Dao: A Journal of Comparative Philosophy: please send your books to Prof. Yang Xiao, Department of Philosophy, Kenyon College, Gambier OH 43022.